Scientists at Italy’s Institute of BioRobiotics of Scuola Superiore Sant’Anna in Pisa have developed a bionic hand said to be functional as well as realistic and “pleasant” in appearance. “My-Hand”, the short name for Myoelectric-Hand prosthesis with Afferent Non-invasive feedback Delivery, is the result of the research team’s work with designers to create an “artificial limb to show off and not hide”, says project coordinator and teacher at the Institute of BioRobotics Christian Cipriani. “This is not only a new hand prothesis, highly technological and pleasant to look at, thanks to the collaboration between scientists and the designers of the DARC Studio in Rome, but also the paradigm of a new concept in hand prothesis”, the Institute announced in a statement. “It has already proven to work effectively and is about to be tested on patients: it is capable of turning thought into motion and to allow patients to recover tactile sensations, without requiring a surgical procedure to be implanted. It can be commercialized at very affordable prices, combining technology adoption and social responsibility”. The BioRobotics project was funded with over 400,000 Euros by the Italian ministry of Education and is devoted to the development of non-invasive technologies that facilitate the regaining of sensory and motor skills in patients who have undergone a hand amputation. 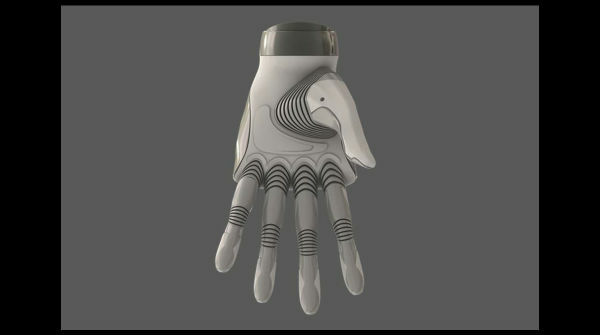 The next-generation prothesis is “light”, extremely dexterous and operated by a high-tech interface based on tactile sensors. The interface was developed thanks to another project of the Pisan Institute coordinated by Christian Cipriani, called “WAY”, funded by the European Commission under the Seventh Framework Programme. WAY aims to develop and clinically evaluate non-invasive technologies that create bidirectional physiological links between a hand assistive device (like a hand prosthesis or a hand exoskeleton) and the patient’s volition. WAY demonstrators are able to restore a physiological bidirectional link between artificial aids and patients; this result can be obtained by employing sensorized hand assistive devices and by developing non-invasive wearable interfaces designed for bidirectional data flow of sensory information and motor commands. My Hand is the device that leverages, with a perfect synergy, WAY’s interface to allow patients to “move and feel the bionic hand” thanks to the connection with thought (through the tactile sensors). 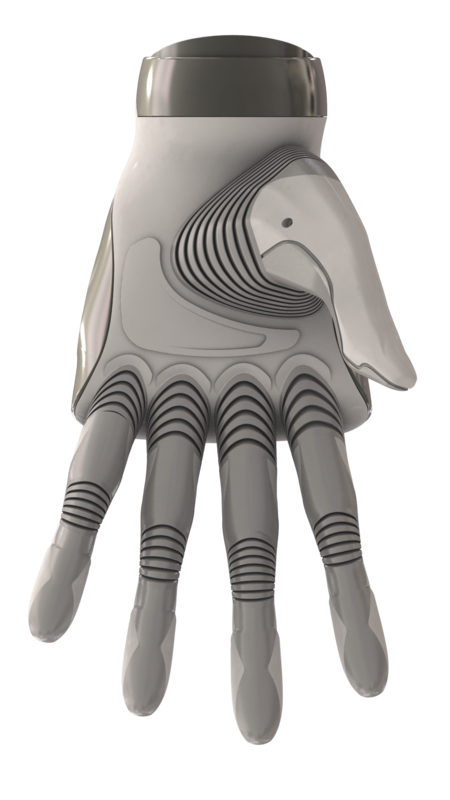 “The hand uses three electrical engines and an opposable thumb”, points out researcher Marco Controzzi, who led the engineers’ team, “so it can grab objects of multiple shapes and weights”. Another tech innovation is a mechanism, invented by the Institute of BioRobotics and covered by an international patent, that, using just one engine, allows the rotation of the thumb or the bending of the index finger alternately. This allows the hand to perform all the movements of everyday life while keeping it light and robust. The Tuscan researchers are confident that big companies or innovative start-ups will be able to take advantage of WAY’s and My-Hand’s potential and translate it into commercial products that are affordable and enhance the autonomy and quality of life of many patients.